Postknight – Games for Android 2018 – Free download. 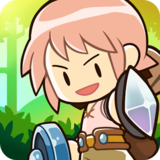 Postknight – Travel the kingdom of Kurestal and become the Postknight. 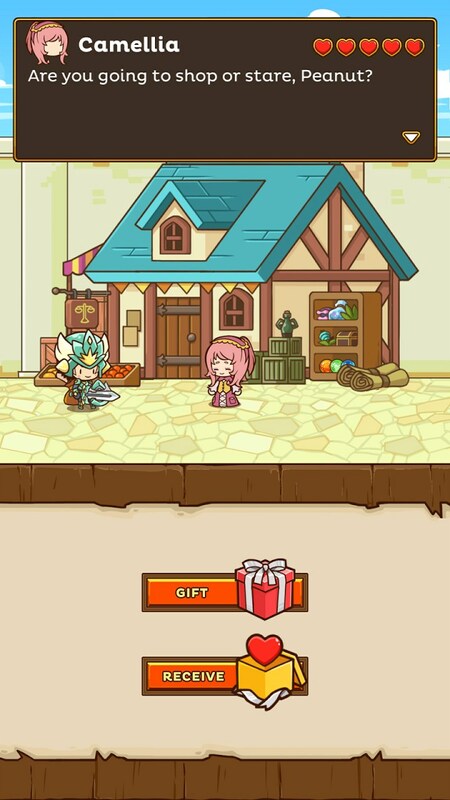 What could be more powerful than a letter delivering knight? 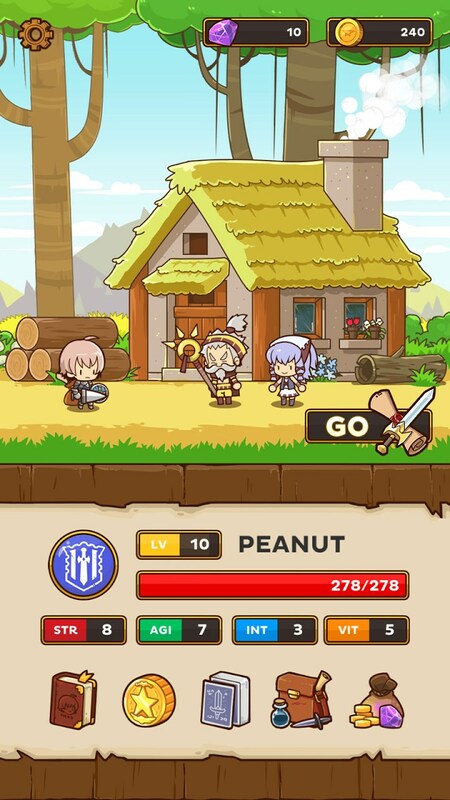 Absolutely nothing, according to Kurechii, the developers of Postknight for Android. 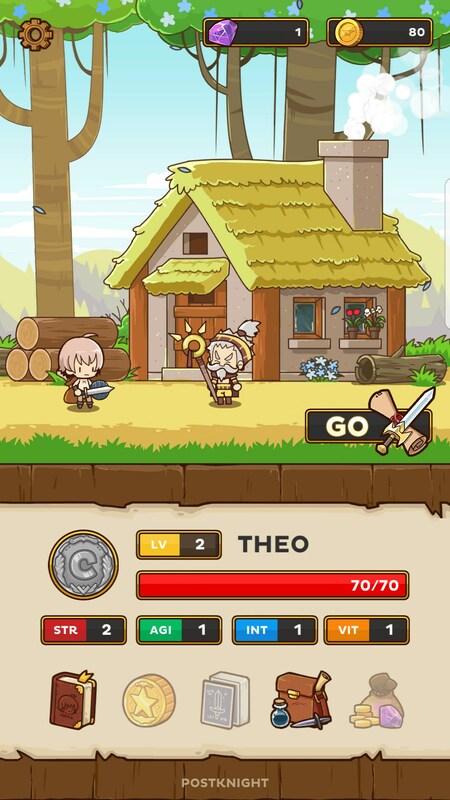 This is a crazy RPG that is a little more hands off than it is hands on, but still manages to be just as addictive as any other one-more-level kind of game. 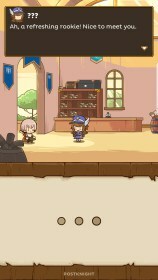 So a postknight is a knight who is tasked with making dangerous deliveries. 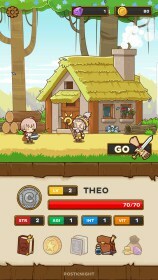 On your quest to become a full fledged knight, you stumble across a village with a chief but no villagers. 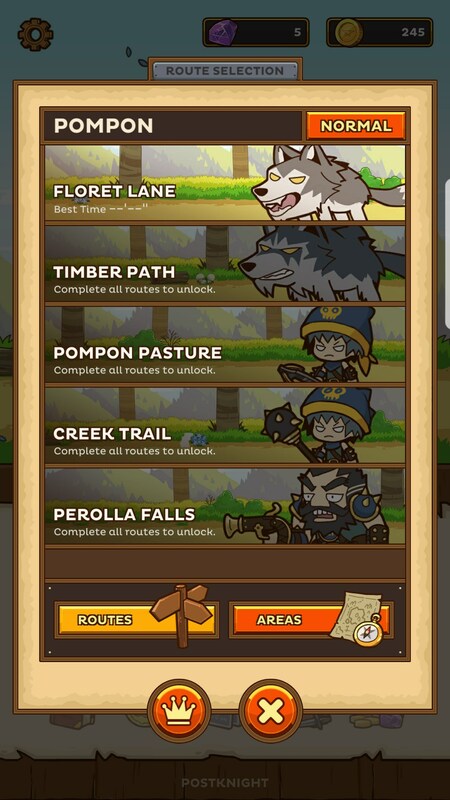 You find out that a rumor of a dragon caused everyone to fly, so your first task is to round up all the villagers, and you’ll do this by going out and exploring different paths. 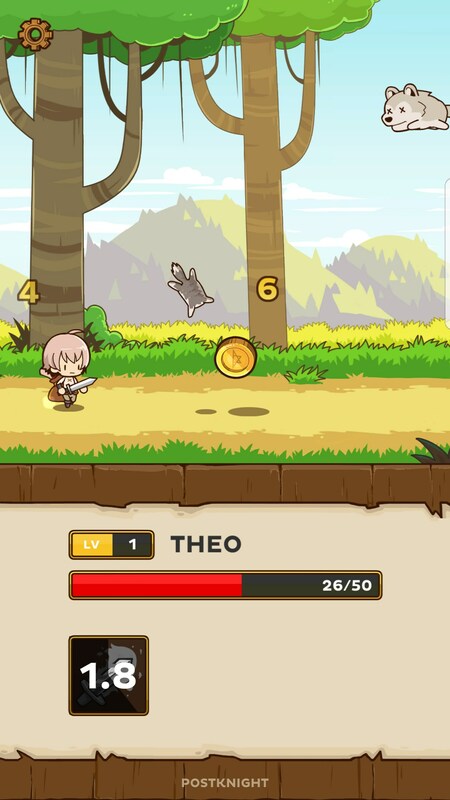 On these adventures your knight will automatically move forward and “clash” with enemies, causing damage to both the enemy and himself. 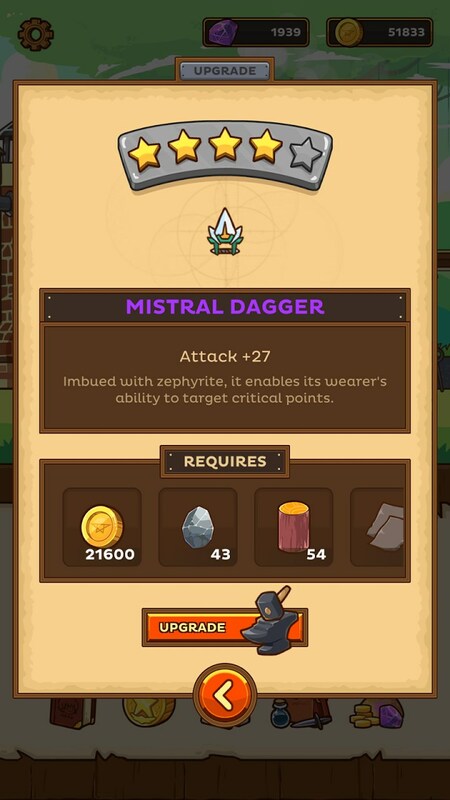 This creates a risk/reward system where you need to also balance when you use your knight’s special attacks, defensive skills and potions in order to make them as effective as possible. 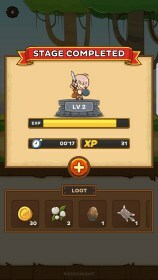 When you defeat enemies and complete levels you will gather loot that can then be taken back to town and used to upgrade your various equipment. 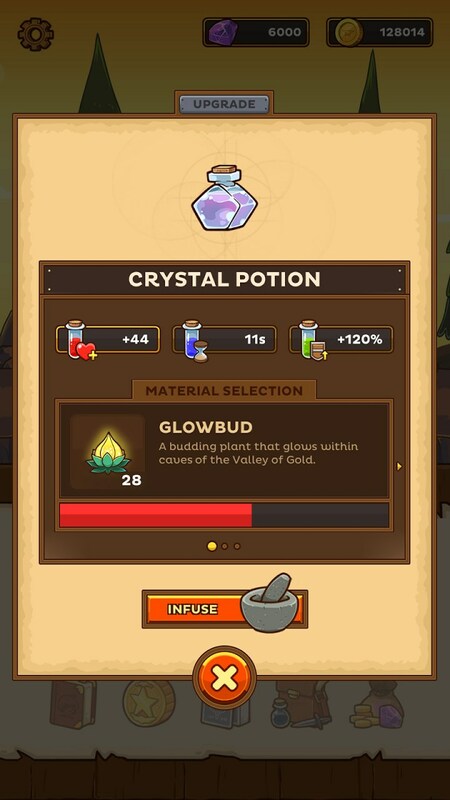 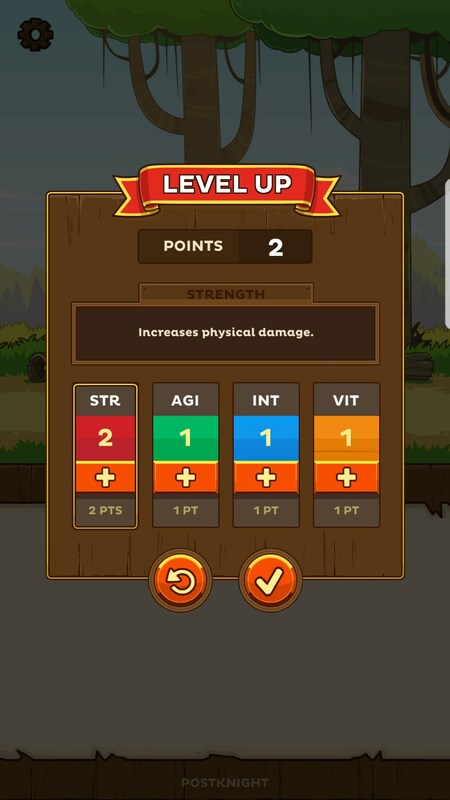 Leveling up, you’ll be able to choose where to place your stats. 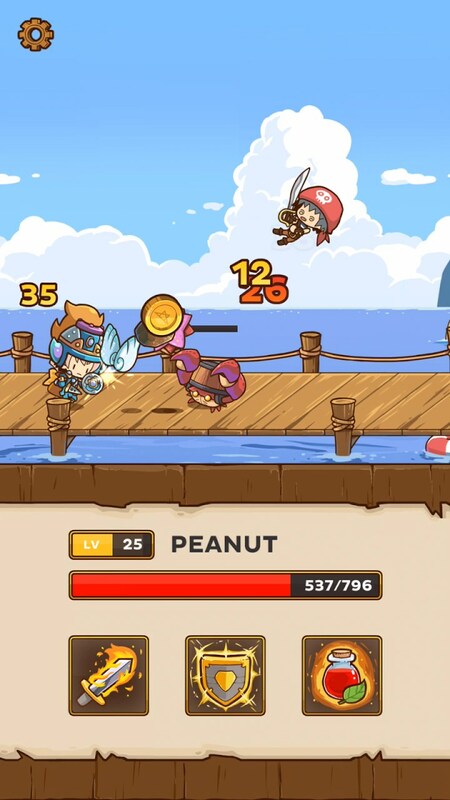 Postknight is a breath of fresh air. 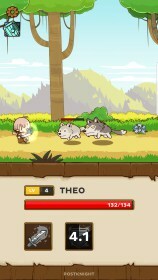 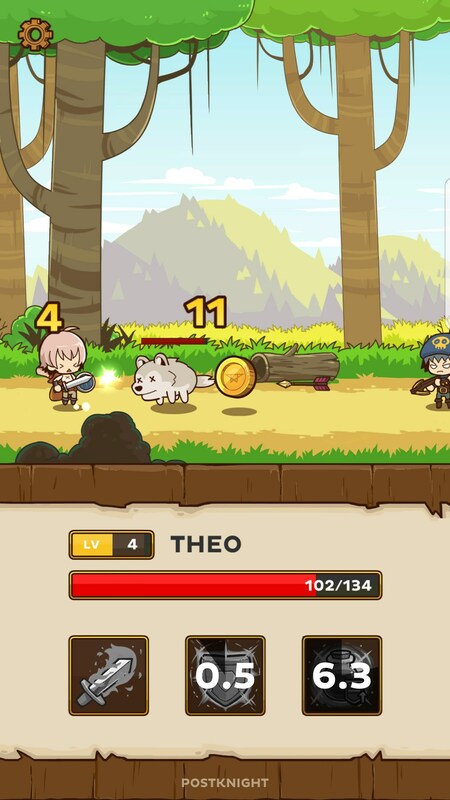 It’s very much an arcade RPG in that going out on quests typically last about a minute and if you lose, you get to keep what you earned but can instantly jump back in to fight. But the game’s character progression is where the game really shines. Give you access to steer your character in whichever direction you want.